The ZFRD smoke detector installation program began 1/1/14. This is funded by a FEMA grant and is intended to ensure that all eligible occupancies within the city limits are protected by a working smoke/CO detector. Installation appointments can be scheduled by calling (847) 746-4038 during business hours, or by email at smoke_detector@zion.il.us. We are scheduling appointments for Saturday mornings. 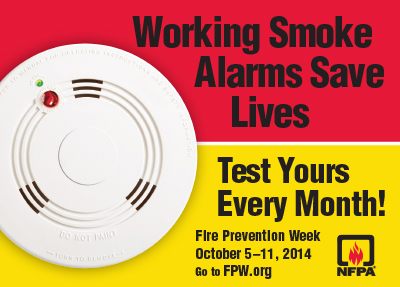 For more information about smoke detectors, please click here. Microwave ovens are one of the leading home products associated with scald burn injuries not related to fires. Nearly half (44%) of the microwave oven injuries seen at emergency rooms in 2011 were scald burns. City of Zion ISO rating drops to 4 from 5!